You open the basket and pull out the mystery ingredients: blueberries, cinnamon, whole milk and a loaf of Dempster’s Honey Wheat bread. What will you make? Our fridge might not be a mystery basket on the food competition show Chopped, but that doesn’t mean that we can’t pretend. We have watched enough episodes of Chopped to know that when a chef is faced with this basket of ingredients – that chef will be baking a bread pudding. 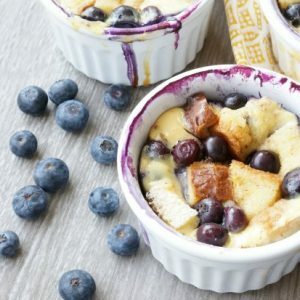 So, when we opened the fridge and wanted to make a delicious Sunday brunch dish we dove into baking a blueberry bread pudding. Bread pudding is one of those dishes that I have always wanted to make, but I simply haven’t given it a try. After checking out a few different recipes, and not finding exactly the combination of flavours that I was looking for, I opted to put together my own. The secret ingredient in this recipe is the honey wheat bread. 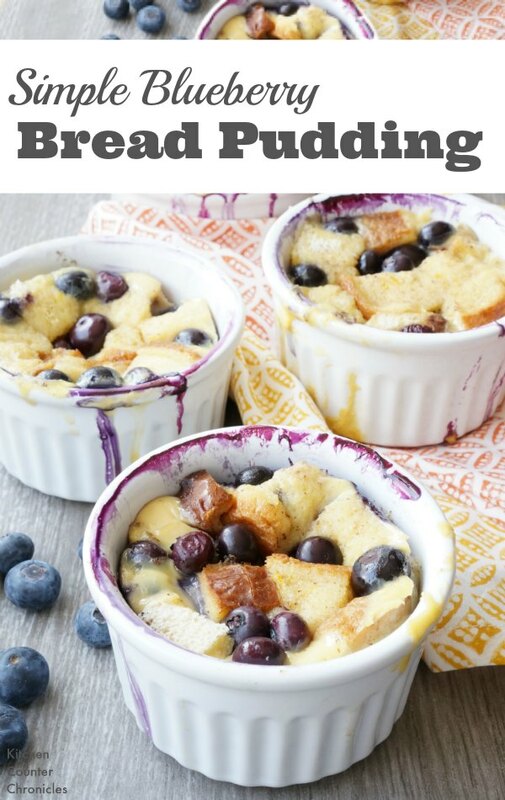 The density of the bread is perfect for making a beautifully rich bread pudding. Prepare the baking dish and/or the ramekins by buttering them. Set dishes aside. If you have the time let your bread sit out overnight before making this recipe. If you don’t have the time, don’t worry there is an alternative. 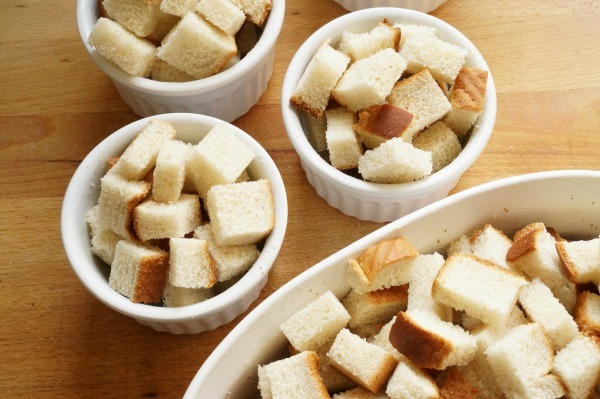 Cut the bread into 1/2” cubes and spread on a baking sheet. 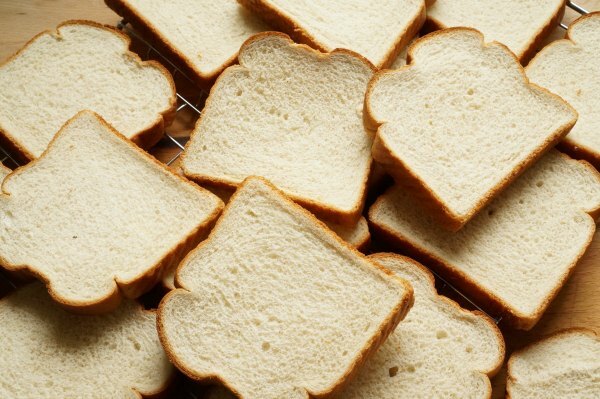 Toast the bread in a 325°F oven for 10 minutes – until the bread is lightly toasted. Transfer the bread into the buttered baking dishes. Mound the bread in the baking dishes, as it will shrink down when the bread absorbs the custard. Next, make the custard. 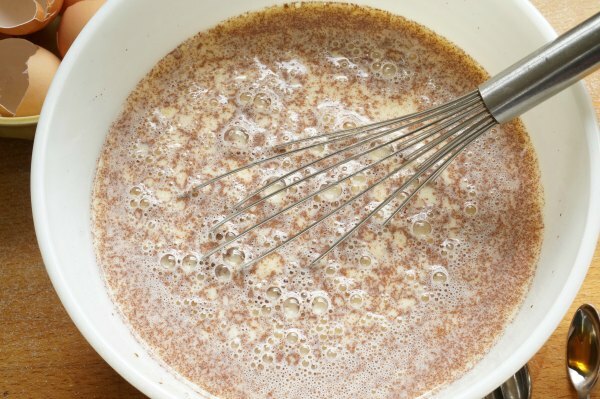 In a large bowl whisk the eggs into the milk. Once the eggs are incorporated, whisk in the sugar, cinnamon, salt and lemon zest. Ladle the custard into the baking dishes. Each ramekin takes approximately 1 cup of custard. You want to be able to see the custard in the dish. 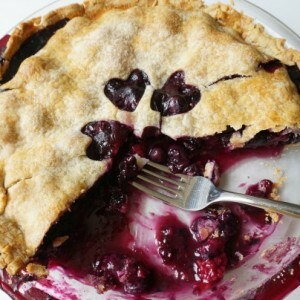 Use your hands to add the blueberries to the baking dish. 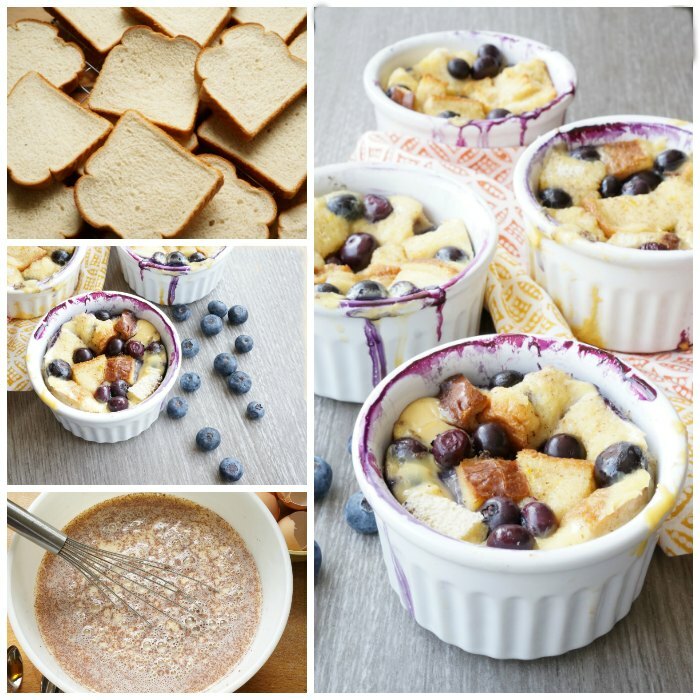 Carefully press the blueberries into the nooks and crannies of the bread pudding. 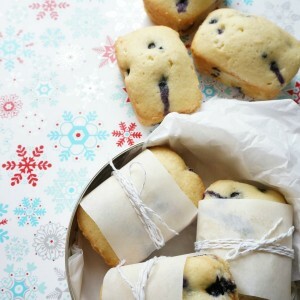 Cover the baking dishes with foil and let chill in the fridge for at least 1 hour. We let ours sit in the fridge overnight – which makes this a great make ahead dish for Sunday brunch. 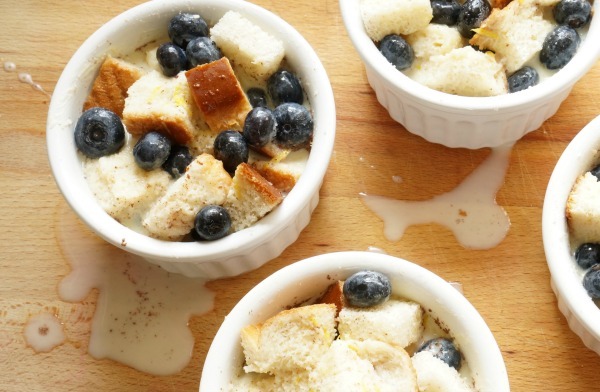 Bake the covered bread puddings in a 325°F oven. Bake ramekins for 25 minutes then remove the cover and bake 5-10 more minutes, until the top of the bread is golden and a toothpick inserted comes out clean. Bake a 2.5 qt oval baking dish for 45 minutes then remove the cover and bake 10 minutes uncovered. Once golden remove from the oven, let cool and serve. The perfect addition to any brunch menu. 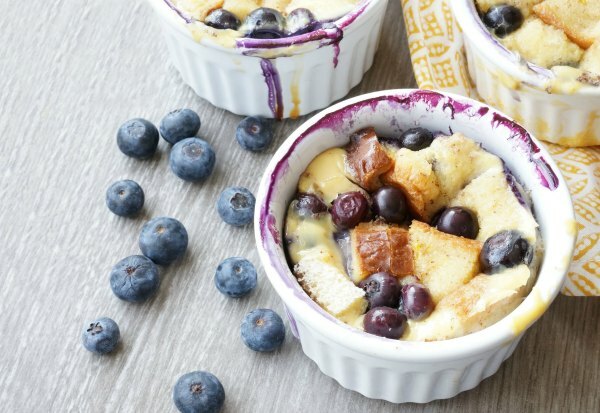 Simple blueberry bread pudding is filled with pops of sweet blueberries.